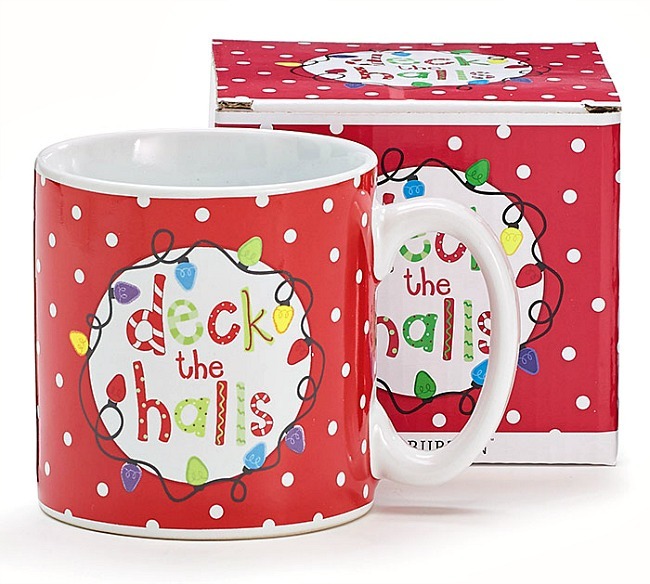 Deck the Halls Christmas Mug by Burton & Burton. Made of Ceramic. Holds 13 oz. Dishwasher safe/FDA approved/Microwave safe.